If we look simply at the number of people covered, Rhode Island’s decision to expand Medicaid was a success. But the arguments for the expansion of health insurance made by the Obama administration were not just moral – they were also economic. The Council of Economic Advisors argued that the lack of health care coverage among many Americans has a significant negative effect on national economic prosperity.5 On the other side, critics and political leaders in states that rejected the expansion worried that enlarging Medicaid would hurt state economies and strain state budgets. Did Rhode Island make the right choice by expanding Medicaid? What will the impact of that decision be on the state’s economy? To answer this question, we analyze how health insurance coverage rates and health care spending levels affected economic growth in 48 states over 23 years. 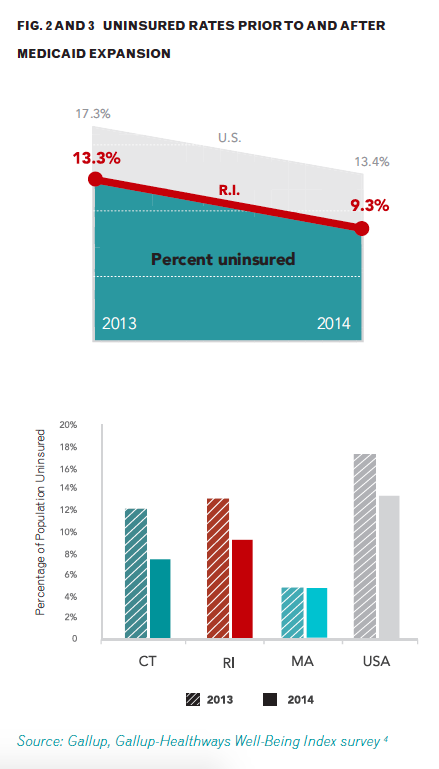 Our research indicates that the expansion of health insurance coverage can help Rhode Island’s economy, but only if the state controls costs. 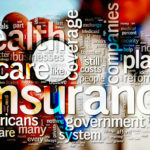 Despite the lively debate in the popular press over the potential economic consequences of expanding health care coverage, few studies have directly investigated the effect of universal or near-universal health insurance on employment and economic growth. Instead, the academic literature to date largely relies on the assumption that because greater access to health insurance improves health and better health leads to economic growth, health insurance coverage should have a positive economic effect. This, however, does not account for the potential negative effects of health care costs. The economic benefits of having a healthy population are clear: workers are more productive, less likely to miss work due to illness or disability, and less likely to leave the workforce due to illness or death. (d) Several studies indicate that improved health outcomes are “one of very few robust predictors of economic growth,”7 and research suggests that health improvements since the 1970s added approximately $3.2 trillion per year to national wealth in the United States.8 The studies are also clear that health insurance coverage can help create a healthier population. 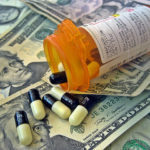 Quality health insurance has been shown to decrease the onset of avoidable illnesses, increase access to care for treatable illnesses, and decrease the likelihood that relatively minor illnesses become severe.9 Health care coverage, however, is not without its costs, and these costs must be balanced against the economic gains that come from better health. What is less clear from existing research is the overall effect of health care spending on economic growth. While some literature suggests that it can act as an economic stimulus by increasing both wages and the number of jobs in the health care sector,10 escalating health care costs can also be a serious drag on economic growth. (e) Health insurance premiums, for instance, have risen by 69% since 2004,11 and studies have documented that premium increases meaningfully cut into wages and raise the likelihood of being unemployed or underemployed.12 For state governments, increasing health costs can result in higher taxes, more borrowing, or cuts to other important programs and services, including economic growth investments such as education and infrastructure.13 It’s also important to consider that health care spending is not necessarily associated with better health outcomes: The United States spends far more per person on health, yet has a lower life expectancy, than many other developed nations. Using data from the Centers for Medicare and Medicaid Services and the U.S. Census, we analyze how health insurance coverage and health care spending affected economic growth (in terms of GDP and total employment) in the lower 48 states from 1988 to 2010.15 We compare rates of private and public coverage and analyze coverage by age group, with a particular focus on the working-age population of 18 to 65 year olds. (f) We examine health care spending both per capita and as a percentage of state GDP, and we break it out into private spending and government spending on Medicare, Medicaid, and military health care (for both active duty servicemembers and veterans). We also include a number of control variables in our analysis to ensure our findings are not driven by unobserved factors. Our analysis indicates that a one percent increase in Medicaid spending per enrollee reduces a state’s employment growth rate by 0.008 percentage points per year. 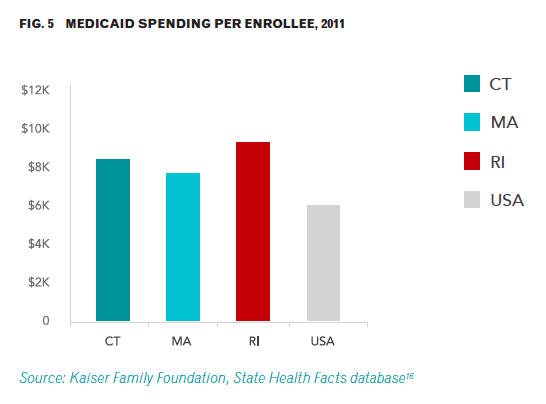 In 2011, the last year for which national data are available, Rhode Island spent $9,247 per enrollee on Medicaid, the second-highest rate in the country.18 If the state could reduce Medicaid spending to the 2011 national average of approximately $5,790 per enrollee – about a 37% decrease – the employment growth rate could be increased by as much as 0.29 percentage points. (i) This represents a significant potential impact given that Rhode Island’s employment growth rate averaged around 0.4% annually over the past decade. In fact, Medicaid spending varies widely from person to person and is extremely concentrated among certain groups. 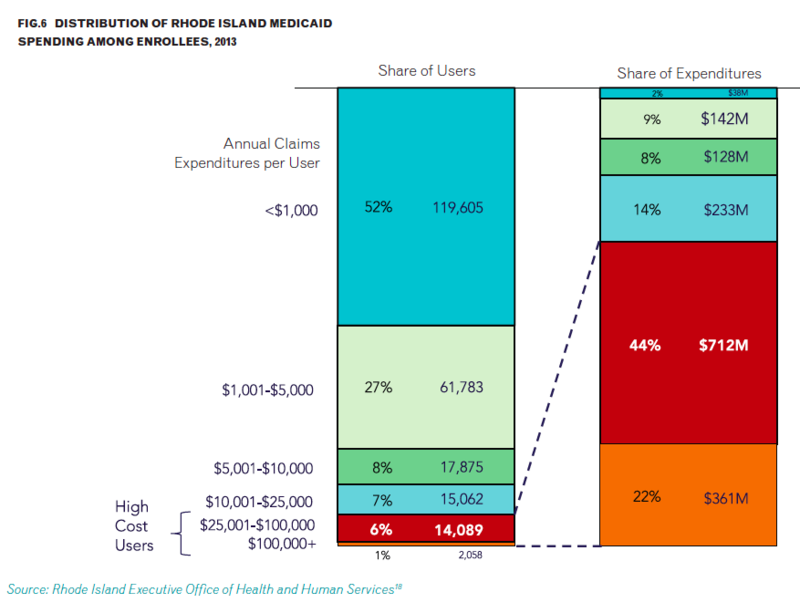 In Rhode Island, approximately 7% of enrollees account for about 66% of Medicaid expenditures, costing an average of $66,396 per person in 2013. (k) Complex care management is a promising approach that focuses on controlling costs for these kinds of high-expenditure populations. In a complex care management program, a team of specialized social workers, nurses, and care managers identifies high-cost patients and determines what is driving their use of medical services. The team then works directly with these patients to manage and coordinate their care and reduce the incidence of hospitalization and emergency room visits. Is Rhode Island on the right track? Our research suggests that Rhode Island is on the right path in joining 27 other states to expand Medicaid coverage through the ACA. Increased health insurance coverage of the working age population through government programs like Medicaid is associated with stronger GDP and employment growth. That said, Rhode Island currently spends more on Medicaid per enrollee than most states, and higher spending can drag down job growth. Decreasing the amount spent per person on health care would provide an opportunity for Rhode Island to fully harness the economic benefits of expanding health insurance coverage and address the state’s high unemployment rate. Massachusetts, which began health insurance reform in 2007, well before the rest of the country, can serve as a model. They decreased their uninsured rate from 10% in 2004 to 4% by 2012, largely by expanding Medicaid eligibility and increasing Medicaid enrollment from 17% in 2004 to 26% in 2010. Over that same time period, however, they reduced their Medicaid spending from $9,600 (similar to Rhode Island’s 2011 level) to $7,500 per enrollee.23 Rhode Island has begun to reduce its costs per Medicaid enrollee, at a rate of about 1.5% per year from 2009 to 2013.20 If the state can continue to make strides in expanding coverage and cutting costs, it can both improve the health of its citizens and grow its economy. Congressional Budget Office (2012) “Updated Estimates for the Insurance Coverage Provisions of the Affordable Care Act,” and (2014) “Updated Estimates of the Effects of the Insurance Coverage Provisions of the Affordable Care Act,” Washington, DC. Kaiser Family Foundation (2015) Status of State Action on the Medicaid Expansion Decision [data files]. 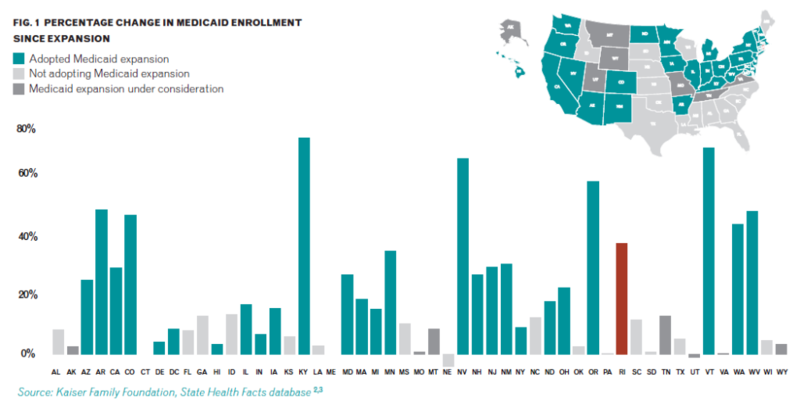 Kaiser Family Foundation (2014) Total Monthly Medicaid and CHIP Enrollment [data files]. Dan Witters (2014) “Arkansas, Kentucky Report Sharpest Drops in Uninsured Rate,” Gallup, August 5. Council of Economic Advisers ( 2009) The Economic Case for Health Care Reform, Washington, D.C.: Executive Office of the President. Jack Hadley (2003) “Sicker and Poorer—The Consequences of Being Uninsured: A Review of the Research on the Relationship between Health Insurance, Medical Care Use, Health, Work, and Income,” Medical Care Research & Review, 60(2): 3S-75S. Sandra L. Decker, Jalpa A. Doshi, Amy E. Knaup, and Daniel Polsky (2012) “Health Service Use among the Previously Uninsured: Is Subsidized Health Insurance Enough?” Health Economics, 21(10): 1155–1168. Kevin M. Murphy and Robert H. Topel (2006) “The Value of Health and Longevity,” Journal of Political Economy, 114(5): 871-904. Jill Bernstein, Deborah Chollet, and Stephanie Peterson (2010) “How Does Insurance Coverage Improve Health Outcomes?” Mathematica Policy Research, Reforming Health Care Issue Brief, number 1. 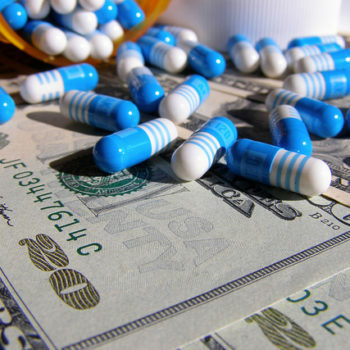 Medical Spending Growth In The United States?” Health Affairs, 22(3, supp. ): W3-15. Kaiser Family Foundation (2014) “2014 Employer Health Benefits Survey,” Menlo Park, CA. Katherine Baicker and Amitabh Chandra (2005) “The Labor Market Effects of Rising Health Insurance Premiums,” National Bureau of Economic Research, Working Paper, number 11160. Benjamin D. Sommers (2005) “Who Really Pays for Health Insurance? The Incidence of Employer-Provided Health Insurance with Sticky Nominal Wages,” International Journal of Health Care Finance and Economics, 5(1): 89-118. Washington, D.C.: Office of the Assistant Secretary for Planning and Evaluation, U.S. Department of Health and Human Services. World Bank (2014) “Health Expenditure, total (% of GDP),” World Development Indicators [data files]. Our data include many different types of health care spending in order to verify the relationship between different health care investments by the state and private entities and state economic growth. These include overall health care spending; specific spending for Medicaid, Medicare, and military health care by the government; and health care expenditures in the private market. Kaiser Family Foundation (2013) Medicaid Coverage Rates for the Nonelderly by Age [data files]. David U. Himmelstein, Deborah Thorne, Elizabeth Warren, and Steffie Woolhandler (2009) “Medical Bankruptcy in the United States, 2007: Results of a National Study,” The American Journal of Medicine, 122(8): 741–746. Ryan Jaslow (2012) “One-third of young adults face medical bill troubles, debt,” CBS News, June 8. Kaiser Family Foundation (2011) Medicaid Spending per Enrollee (Full or Partial Benefit) [data files]. Michael Sparer (2012) “Medicaid managed care: Costs, access, and quality of care,” Robert Wood Johnson Foundation, Research Synthesis Report, number 23. Rhode Island Executive Office of Health and Human Services (2014) “Rhode Island Annual Medicaid Expenditure Report,” Providence, RI. Atul Gawande (2011) “The Hot Spotters,” New Yorker, January 24. The Pew Charitable Trusts (2014) State Health Care Spending on Medicaid, 50 State Data [data files]. (a) Medicaid is the government’s health insurance program for low-income individuals; it is jointly funded and administered by the federal and state governments. Medicare, on the other hand, is the federal health insurance program for individuals over age 65 and people with disabilities. (c) The ACA expanded Medicaid eligibility from people living at or below the federal poverty line ($11,670 a year for one person, $23,850 for a family of four) to people earning up to 138% of the poverty line ($16,105 a year for one person, $32,913 for a family of four). Funding for the expansion is provided by the federal government. (e) While the Affordable Care Act originally had provisions included to help control the increase in health spending in the United States, these items were cut in an attempt to gain passage as people became concerned about the government making health care decisions instead of doctors. (f) Private, employer-provided insurance could be linked to economic growth simply because it is a proxy for employment. Public health insurance programs, on the other hand, often cover low-wage workers and the unemployed. (g) There are a number of potential reasons why public coverage impacts economic growth but private coverage does not, many of which have to do with the different populations covered by the two. Almost everyone with private coverage, for example, already has a job, so health coverage will not increase their labor supply. 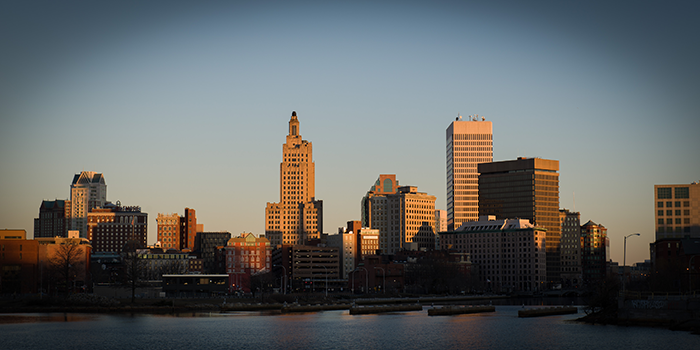 (h) From 2000 to 2013, per capita GDP growth in Rhode Island averaged less than 1.3% and employment growth averaged less than 0.4% according the Bureau of Economic Analysis. Thus a 0.4 percentage point increase in the growth rates would be quite large. (j) Restricting care is one obvious way to reduce costs, but doing so would be counterproductive because the economic benefits of expanded insurance coverage come from having healthier, more productive workers. 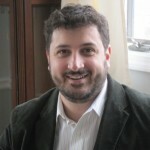 Liam C. Malloy is an Assistant Professor in the Department of Economics at the University of Rhode Island. His research focuses on behavioral and political economy explanations of the income distribution, mainly in the United States. 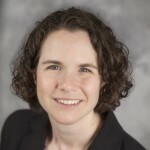 Shanna Pearson-Merkowitz’s research focuses on public policy, inequality, and political geography. Professor Pearson-Merkowitz’s research has appeared in some of the top political science journals.